EndoGI is a medical device company developing a Multiple Stents Placement Delivery System for the treatment of biliary and pancreatic ducts stenosis and strictures. EndoGI system enables insertion and placement of two stents or more in the common bile and hepatic ducts with one passage of the delivery system while securing and maintaining access of the guide wire at the targeted anatomical site. 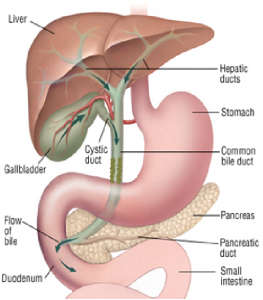 Bile dismantles fats in the gastrointestinal tract. It produced in the liver, stored in the gallbladder and secreted through the bile ducts to the small intestine. In case of bile duct stenosis as a result of cancer/injury/Inflammation/Cholangitis or Gallstones there is an urgent need in using biliary stent for bile drainage. Estimated 1 million procedures with annual growth rate of 7.3%. The US market holds 40% of the global market. 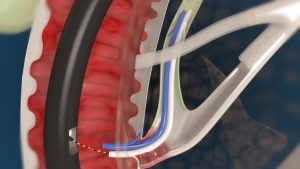 Awareness of the advantages of drainage and the opening of blockages in patients with chronic pancreatitis and pancreatic cancer will lead to a significant increase in the use of stents. Elad Einav - Co-Founder, Director & Chief Technology Officer, Elad Einav has over 10 years of experience in R&D, Clinical &Regulatory and management positions.Elad led products through FDA and CE approvals to scalability and commercialization (CEO at MediBrane, Biovo). Zohar Gendler, M.Sc. – Director & NGT3VC CEO ,Former CEO and director of Beta-O2 Technologies. Served as CEO of the Technion Entrepreneurial Incubator for a period of 11 years. Zohar led the establishment and investment in more than 40 companies.